The RailStaff Awards has been recognising the extraordinary achievements of rail industry employees since 2007. The ceremony shows appreciation for the people who deliver the railway - from drivers to cleaners, and engineers to station staff. Often these are stories of lives saved, careers turned around and adversity conquered. In 2018, The RailStaff Awards saw over 1,000 people in attendance, 1,500 nominations and 62,000 votes. Join us on Thursday, 28th November 2019 at The NEC, in Birmingham as we honour more unsung heroes of the railway. 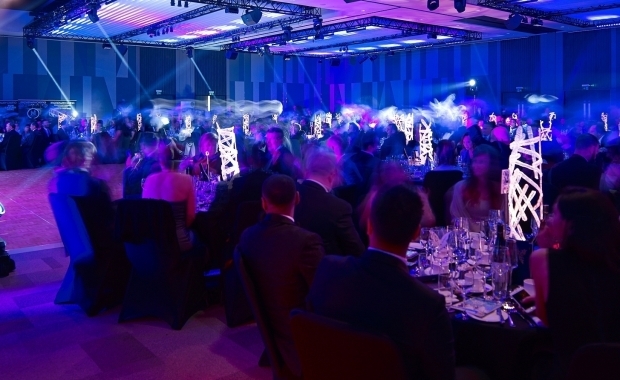 On arrival, you will be shown into the drinks reception, where you will have the chance to catch up with friends and colleagues before being seated at your table to commence your meal followed by an enjoyable evening of fantastic entertainment and of course, the Award presentations. If you or your guests have any special dietary requirements, please mention this when booking . Full allergen details are available on request. A mobile app will be available on the evening, you are able to order and pay over the app and the drinks will come straight to the table. Please see the event brochure on your table for further details.